I can provide a safe, confidential space for you to look at what may be causing you distress and explore ways in which you can develop your full potential. 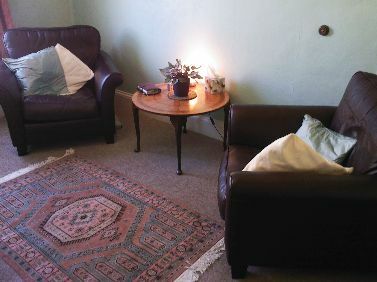 I offer private counselling and psychotherapy to individuals in centrally located consulting rooms in Bury St Edmunds, Suffolk and Holt, North Norfolk. My private consulting rooms are in the town centre of Bury St Edmunds, Suffolk. Very close to bus station and parking areas. I also offer sessions in a central location in Holt, North Norfolk. My days of work are Tuesdays in Bury St Edmunds and Thursdays and Fridays in Holt, North Norfolk. Clinical supervision is offered to trainees and experienced therapists. Supervision sessions are available in Bury St Edmunds, Suffolk or Holt, North Norfolk. Therapy sessions are offered weekly. An initial consultation session will be offered to explore the current difficulty and to establish if it is possible for us to work together. Aims and goals will be discussed in this first session and the length of time you wish to spend in therapy explored. This will be open to review at any time. Fees will be decided too. A small number of evening sessions are available.